Our thanks to Officer Jeromy Sherrill for this good news notice. At 10 a.m. EDT on October 11, 2018 Coast Guard Captain of the Port (COTP) Charleston, South Carolina removed Port Condition Yankee. The Port of Charleston is open without restrictions. 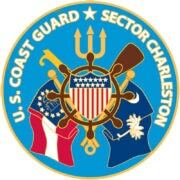 For maritime related emergencies, please contact the Sector Charleston Command Center at (843) 740-7050. This MSIB can be viewed at https://homeport.uscg.mil/port-directory/charleston.